Nozawa's most famous festival, held on January 15th every year, is a must-see cultural experience. Here fire erupts in a designated area of the village where thousands gather to celebrate and pray for the well being and good fortune of the village, and to ensure a plentiful harvest for the coming year. The Dosojin festival is one of Japan's three most celebrated fire festivals, where torch bearing villagers battle against young men barricaded in a pre-built wooden fort with an aim to burn it down. This festival begins in the early evening and rages through most of the night with fire, Japanese sake and good cheer being the main focus of the evening. 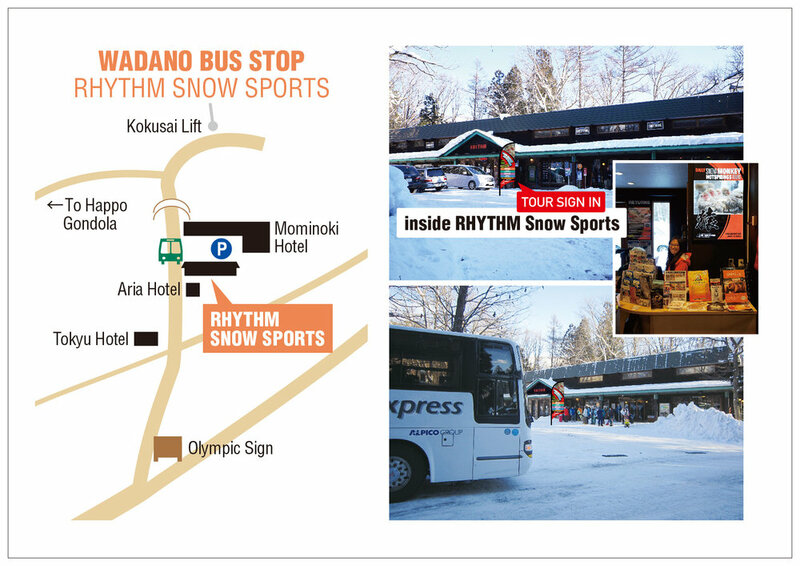 The buses depart from 4 locations in Hakuba: Wadano, Happo, Echoland and Goryu. Departure Location 1 is Rhythm Rentals Wadano and departs at 3:00pm from the road outside the Rhythm Rentals building. Departure Location 2 is Happo Bus Terminal and departs at 3:00pm. Departure Location 3 is Echoland in front of Hakuba Base Camp and departs at 3:10pm. 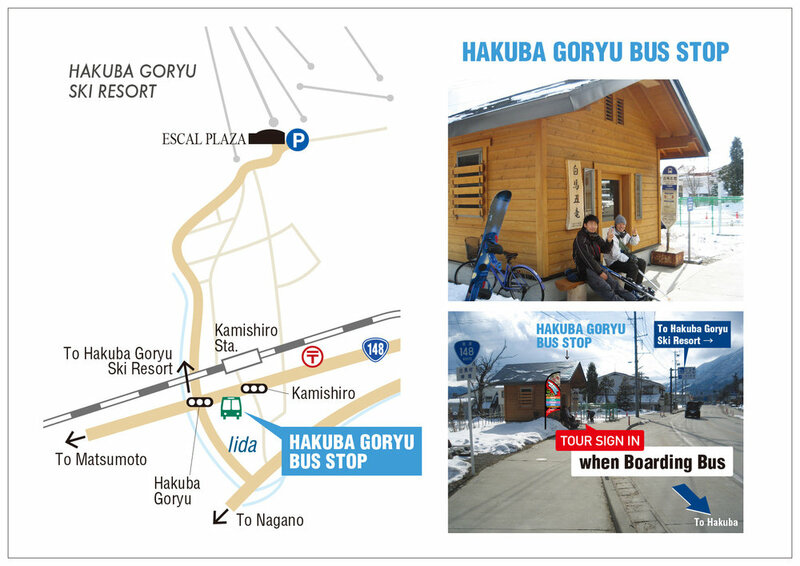 Departure Location 4 is Hakuba Goryu Bus Stop (on route 148 opposite Kamishiro Station) and departs at 3:15pm. Make sure you go to the departure location you have booked. Tour Cost: 13,000yen per person (Adult / Child) *Inclusive of: Transportation, English-speaking guide, tasting Oyaki steamed buns, Traditional Japanese set menu dinner and insurance. Payment for the tour can be paid in credit card; only Visa or MasterCard are accepted. Please note that credit card payments can also be made over the phone at the time of reservation. An authentic Japanese style dinner* consisting of various traditional dishes that use fresh seasonal and local produce to create beautifully presented cuisine. Drinks and beverages are also available and customers will need to pay for these at the restaurant. *Food allergy/dietary restriction request are not accepted for this tour/dinner. Ski Japan Holidays reserves the right to change or cancel the tour; in case the minimum numbers of 17 participants to run the tour has not been reached by 5 pm one day before the tour date, the tour will be cancelled and customers receive a full refund. 1 Responsibility rests with Ski Japan Holidays operating Agent-Organized Tours (hereinafter referred to as the SJH ) whose name in full appears below and in its tour pamphlets. Customers joining such tours shall conclude an Agent-Organized Tour Contract (hereinafter referred to as the Travel Contract) with SJH . 3 The Travel Contract shall become valid upon SJH's consent to the conclusion of the contract and receipt of the full tour fee. If tour arrangements are made by phone, the Tour Contract shall become valid upon SJH's acceptance of the tour fee as specified in the Clause 2. When Customers request tour arrangements by mail, facsimile or other communication methods, the tour contract shall become valid upon fullpayment of the Tour Fee and SJH's notification of acceptance of the tour contract. The contract for any tour request by any communication including telephone, mail, facsimile or other shall become valid as specified in Article 23-2.